Please join the Pacific Institute for Climate Solutions for a public presentation by Dr. Susanne Moser. How can we best engage people around the challenges of climate change adaptation? This presentation will offer insights into effective communication of climate change impacts and adaptation, with particular emphasis on the psychological dimensions that can help or hinder constructive and sustained engagement in these issues. 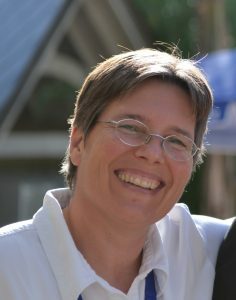 Susanne C. Moser, Ph.D., Director and Principal Researcher of Susanne Moser Research & Consulting, and Social Science Research Fellow, Woods Institute for the Environment, Stanford University. She is an internationally recognized expert on climate change communication, adaptation, and science-policy interactions. How Well are we Communicating Climate Change these Days?